Former Mr. Olympia, Conan, Terminator, and Governor of California. I killed the Predator. UPDATE: Hey everybody, The Last Stand came out today and it's something I'm really proud of. I think you'll enjoy it. You can buy tickets here: http://bit.ly/LStix And... I'll be back. In your films are all the "Ayyaagh's" in the script or do you improvise them? All improvised. Every single one. 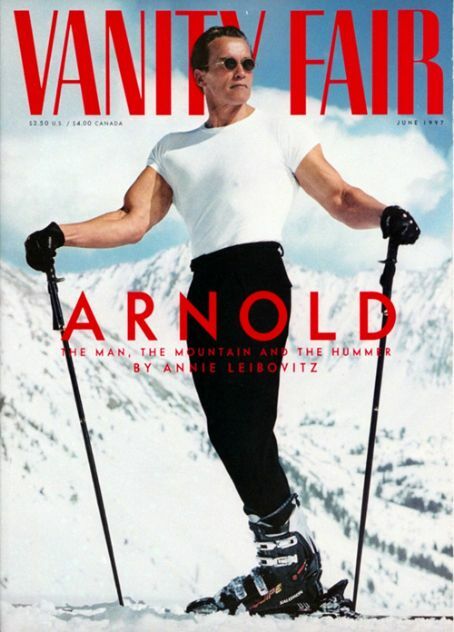 Arnold, you were an inspiration to my father who died 9 years ago. He framed your cover of Vanity Fair magazine, signed it himself, put it on his desk, and told everyone that you signed it for the entirety of his career as a trainer. I just wanted to let you know that you were a very personal hero for my father and if he were alive today, he'd be first in line to see every one of your movies. Politicians are wildly unpopular these days - if you had to pick one current American politician who best embodies what is good about politics, who would you pick, and why? I've always appreciated your perspective on American politics and admired your optimistic spirit, so I'd love to hear your answer to this. Great question. And this has to be my last one. Even though Congress has an approval rating of 9% (and loses to cockroaches and colonoscopies in polling), there are still some leaders who are doing the people's work instead of the partys' work. That's political courage to me, being willing to risk your job to choose what's good for the public instead of getting stuck in your ideology. One of my favorites is Mayor Chuck Reed from San Jose. He's a Democratic who took on pension reform, he has always put the people first. You should look him up. Edit: I was the first to ask Arnold if it's a tumor. AMA. What are your thoughts on the current state of the Republican party? The most important thing is that we need to be a party that is inclusive and tolerant. We can be those things and be the party we always have been. We need to think about the environment - Teddy Roosevelt was a great environmentalist and people forget Reagan was the one who dealt with the ozone layer with the Montreal protocol. We also need to talk about healthcare honestly - Nixon almost passed universal healthcare. We need to have an talk about immigration and realize you can't just deport people. We need a comprehensive answer. We also need to stay out of people's bedrooms. The party that is for small government shouldn't be over-reaching into people's private lives. 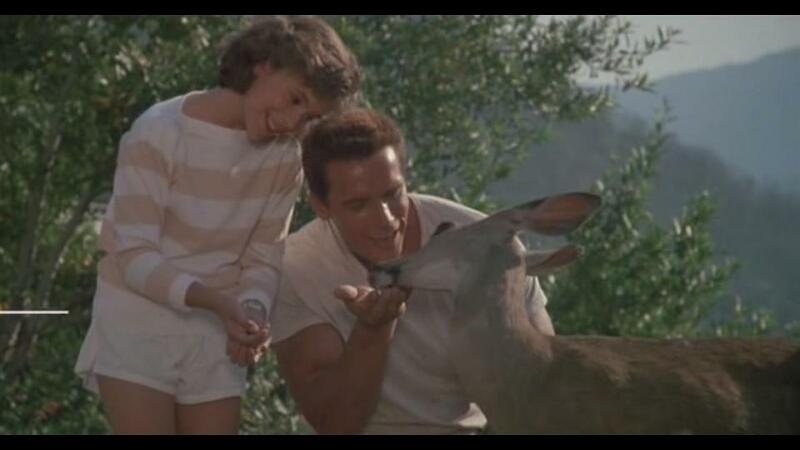 Arnold, you've lived three lives in one. You were the reason I started working out when I was a kid, you're an inspiration to all. A bodybuilder, actor then Governor. Which has been the most challenging role in your life? Is this the happiest you've ever been? My daughter Chloe who is 9 is a big fan of yours. She would like to ask which role is more fun to prepare for action or comedic roles? What is the best piece of advice you've ever recieved in your life? In the Pumping Iron documentary you mentioned that you once deliberately trained a "fellow" bodybuilder wrong just before a competition in Austria. You told him that the latest thing in posing over in America was to scream for every pose you took on stage. In the story the man did this during the competition and then got escorted of the stage by security since they thought he was insane. What was the repercussions of this? Was the man in question mad at you afterwards? Do you regret doing this? I had to come back to answer this one. First of all, it was in Munich. I have always loved a good prank, and this one was one of my favorites. The guy was a little wild. We mostly pranked the guys who showed up huffing and puffing and acting tough. So this guy was already saying he was going to win the competition. I told him that the new trend in posing was sound effects. The higher your arms are, the higher the pitch of the scream. As you get lower, you drop your voice. I told him not to worry about the reaction, this was the big thing in America and England and Germany would catch up. By maybe the fourth scream, he was dragged off stage and thrown out the back door. There were no repercussions for him, except some embarrassment. Another great one was the time we oiled up a tough guy who wanted to squat with us. He literally waited for me by the squat rack for 12 hours on two days until I came to squat. He knew I would be there at some point because I squatted that frequently. When I put on 135 to warm up, he called it chicken weight. Then as I gradually moved the weight up, to 225, 315, etc. he said we were doing it wrong and we were going to get worn out. When we got to 405, he finally said, now you're at my weight. I told him we planned to take photos and asked if he wanted to join us. Of course there was no camera. So he took off his shirt and we really oiled up his traps. Then we said we should keep working out until it was time for the photo. He only did a half rep (he was one of those guys who did twice the weight he should have and didn't do full reps), but when he came up, because of the oil, the weight was 2 inches lower. On his second rep, the weight slid completely off and we caught it so he wouldn't get hurt. I said, "You should really warm up next time." After that, he never made fun of us for our warm-up, and he even joined in. I also pulled pranks on my best friends, like the time Franco had just arrived in America and I greeted him with a marijuana cookie. He was fresh off the plane and I wanted to be a little cautious so I only gave him half. I took him to my friends' apartment and they couldn't figure out why we spent an hour lying on their floor laughing. They only knew Franco's reputation as the strongest man in the world, so they were shocked. Franco had a great time but didn't know why. I finally told him a few days later. So there's a short history of my bodybuilding pranks. Thanks again. I really had a great time. I will have to pop in from time to time to chat with you guys some more. Who said we had to limit it to one hour? What role do you most regret turning down? If you could give one piece of advice to President Obama, and then one piece of advice to Speaker Boehner, what would you tell each of them? What was the most difficult choice you made as governor of California? What one thing do most people not know about you that you think is interesting? What do you consider to be your finest performance so far? A lot of actors eventually get into writing, directing, and producing. Have you done any of that, or do you plan to? Do you still keep in close contact with friends and family in Austria? Edit: please stop replying to me with your questions. If you have a question, leave it as a top-level comment so it will go to his inbox, not mine. I most regret not doing The Rock. I love the movie, and it turned out well. When it was offered to me there was only an 80 page script with a lot of handwriting and scribbles and it didn't seem fully baked. But they obviously did a fantastic job. If you had to pick your favorite line from any movie, what would it be? From someone else's movie: "Do I feel lucky? Well, do ya, punk?" From my movies... I'll be back. Dear Mr Schwarzenneger i am a huge fan of yours, my question is merely this: Was, "GET TO THE CHOPPER" in the script or did you adlib that? Also you are famous for the classic one liners like, "stick around" etc, did you ever write any of these or are these all in the script? Get to Choppa was in the script. Stick around was ad lib, as are some of the more wild one-liners. How often do you still speak german? After all the years in the USA, do you feel more comfortable to speak english? Not much, I am definitely more comfortable in English. Which should tell you how bad my German has gotten. Will you be making "Twins 2"? Is there any director or actor you wanted to work with but didn’t/haven’t yet? I would like to work with Michael Bay and Steven Spielberg. Also Sam Raimi would be great to work with. How has the shift back to Hollywood from the Governor's office been? Would you rather fight 100 duck sized Predators or 1 Predator sized duck? I would choose the 1 Predator sized duck instead of dealing with 100 duck-sized Predators. I've already fought a Predator-sized Predator so I am confident I could handle the duck.